Very Thin– AT&T wasn’t fully lying with this (we can’t really confirm nor deny it is the thinnest QWERTY device in the world 😉 ), but nonetheless, this phone is really thin. Three colors to choose from– Blue, Red or Green. 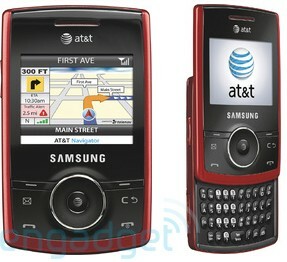 This phone is available now in all three colors for $79.99 after a 2 year contract and $50 mail in rebate. Small Design– This should fit in any into any pocket as well, but also features what appears to be a pretty big screen and of course, a full keyboard. 3 Different colors– red, blue, green and a white with red lettering and outline. This will also cost $79.99 when it launches later this month. Small Design– Like the other two phones, this should also fit smoothly in any pocket. Available in multiple colors– silver, orange and lime (think bright green). NO AT&T 3G– This is a real downer, especially with the current trend of the above phones. Despite the absent 3G, this phone is pretty cheap, selling for $49.99 on a 2 year contract when it launches later this month. That price, coupled with its thinness and QWERTY keyboard, should win over some buyers. Very Small and Thin Flip Design– This phone is thinner than the original RAZR, and should fit easily into any pocket. Gray Color Design– This looks much nicer than what is on the V9, just need to say that. 2 Megapixel Camera with Video Recording– If this camera is anything like the one one the V9, then expect some decent pix– viewable but not real digital camera worthy. Micro-SD card slot– Expandable to up to 8 GB (instead of 2 GB as was on the V9). This is the phone I could definitely recommend for anyone with a little larger of a budget to spend; it is a really great phone that just got a really good upgrade. So what does all this info mean to you? If your a big texter, and AT&T user, you can see it means a whole lot. There are a lot of great phones on this list, and most are pretty budget-friendly. A couple that I would check out– always try to check the phone out at a local AT&T store before you buy it (after all you are gonna use it and are spending the money) — are the Quickfire and RAZR 2. 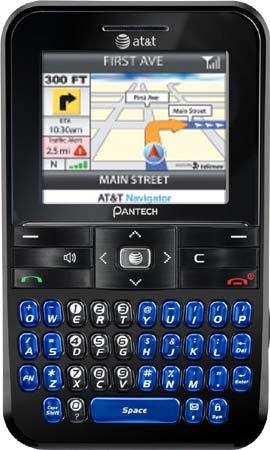 Blame it on my love of touchscreens, but these phones really stick out to me as both easy to use and really cool. What are your thoughts- are you gonna go with a Quickfire or the RAZR 2 V9x, or one of the other phones on this list (if so which one)? Are you gonna instead wait it out a little longer for a Blackberry Bold or AT&T Fuze, or settle for a phone already out like the iPhone 3G or LG VU? Let us know in the comments. Posted on October 15, 2008, in Cell Phones and tagged att, Cell Phones, motorola, new phones, pantech, razr 2 v9, razr 2 v9x, samsung, technology. Bookmark the permalink. Leave a comment.